Binge-watching: it can be a pretty daunting task but when it comes down to it, I am a bit of a professional. I don't mean to brag, but I did watch all nine seasons of The Office in three weeks. And while some people—*cough* my family—may think that this is a problem, those of us who binge-watch know that it takes a special type of skill to accomplish such things. But it takes time to develop such a skill and we all must start somewhere. There are two ways that you can begin binge-watching: either dive directly into the deep end or ease into the kiddie pool slowly. But if you're not ready to dive head-first into this lifestyle and you feel you may need a guide, this is the post for you. Here are some steps to binge-watching. This is going to take some time and it's best to start binge-watching with nothing else to do in your day. At the very least, the middle and later part of your day should be free for optimal viewing hours and comfort. It's best to get your snacks together before you watch the show so that you don't have to continuously pause for anything other than to pee. So grab your snacks, drinks, tissues, blanket, etc., and you're almost ready to begin! As long as the show has at least one season, you're good to binge-watch it. I typically just go with the first show on my Netflix or DramaFever list. The only time I choose differently is if there is a show that I have been putting off or I desperately need to catch up on—those types of shows always take priority. 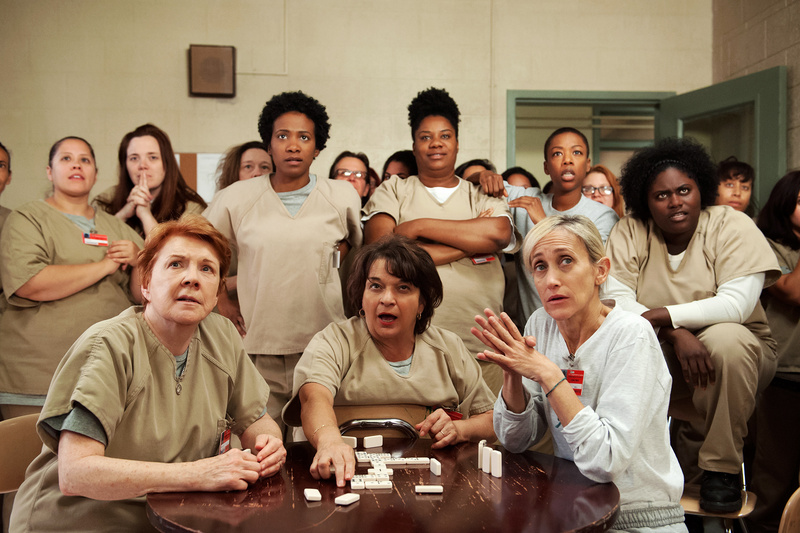 Yes, you need to mentally prepare yourself for the hours of binge-watching you'll be doing. But you can also physically prepare yourself by getting settled in a spot that you can binge-watch in. Careful, this can be a difficult decision. Binge-watching with a friend can be fun but your first time should be by yourself. It's important for first-timers to discover their own speed. Feeling pressure from a friend to either stop watching or watch past your enjoyable limit can stop you from wanting to binge-watch anymore. This is the easiest step. You've already made the choice and gotten comfortable. All that's left now is to begin binge-watching. But if you think that's the end of this guide, you're sorely mistaken. There comes a time in every binge-watcher's life that they are struck by the "itis." You may start to doze off a little, or you may start to become restless or maybe you just can't seem to focus on the episode. Whatever the form of "itis" you develop, it's important that you push through! When the going gets rough because Netflix keeps asking if you are still watching and you're stuck in a sea of ads, you push through and remember that nothing can come between you and your TV fix. Trust me—you're going to want to order in food. The time it takes to cook a meal is time that you could be spending watching your show. It always comes down to these choices: do I go to sleep before the sun comes up or do I finish these last few episodes? The choice is up to you. If the show is just that good, it might be worth fighting sleep. By following these steps, you will begin your journey into the wonderful world of binge-watching. Happy watching!